Dear Friends, we will be celebrating our 4th Birthday in the month of March. So join us in our Birthday Bash. From 1 March to 31 March, come on down to any of our store to enjoy the promotions. 1) Purchase any 4 foamies, dies, OCP flowers, punches, stamps or paper pad and get 25% off. 2) Purchase 40 pcs of regular papers and get 30% off. 3) Purchase 4 ink pads or thickers and get the 5th FREE. With so much happening at OCP, we hope to see you real soon. Hello all! Just a gentle reminder that our promotion for the month would be ending on this Sunday, 19th February so if you have yet to drop by, please do so! If you’re contemplating to get stamps, foamies or pattern papers, be sure to drop by at either Siglap Centre or East Point Mall (Simei) to have a look at our products! 🙂 We are having a buy 2 get 1 free promotion. For every 20 pieces of (pattern) paper you get, you’d be entitled to 10 (pattern) papers free! The weekends have passed by quickly and it’s another hectic week again! So how was your Chinese New Year celebration? 🙂 In just another week, it would be Valentine’s Day. Have you got a gift for your friends or loved ones? Although it’s another week to pull through again, here’s a good news. Our Craft Place is going to have a roadshow this weekends (12th February to 13th February) from 12 noon till 8 pm at Simei, East Point Mall! We are specially invited to join them so we’d be having a booth of our own at the foyer. Do remember to drop by and have a look at our special promotions, just for this weekends! 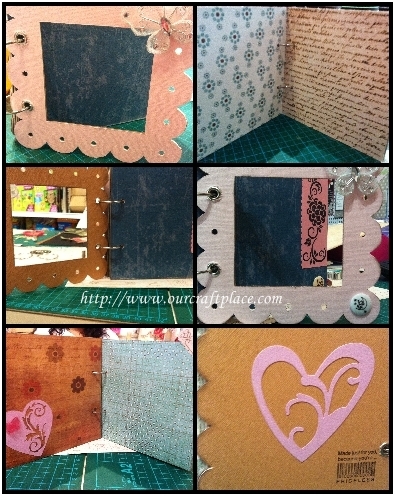 3) A kit with everything you’d require to make this simple yet eye-catching 6″x12″ card which is going at only $5.90! Instructions would be given to you so you need not fret even if it’s your first time doing a handmade card!